Argor-Heraeus is one of Switzerland’s and the world’s largest precious metals refineries. The Argor-Heraeus refinery is located in Mendrisio in the Canton of Ticino, in Southern Switzerland. This location is very near the Italian border, and also adjacent to the locations of two of Switzerland’s other giant precious metals refineries, namely Valcambi and PAMP. The Argor-Heraeus refinery, which has an annual gold refining capacity of approximately 350 – 400 tonnes, is jointly owned by the Austrian Mint, German industrial and precious metals group Heraeus, German commercial bank Commerzbank, and Argor-Heraeus management. Argor-Heraeus traces its routes back to the establishment of the Argor SA refinery in 1951 in Chiasso in the Swiss Canton of Ticino. In 1960, Swiss bank Union Bank of Switzerland (UBS) acquired an 80% shareholding in Argor SA. Subsequently UBS increased its share ownership to 100% in 1973. In 1986, UBS sold a 25% shareholding to Heraeus, and Heraeus and UBS formed a joint venture company called ‘Argor-Heraeus SA’ to operate the refinery. The refinery then moved its headquarters to nearly Mendrisio, a few kilometres from Chiasso.. In 1999, after UBS merged with fellow Swiss banking giant Swiss Bank Corporation (SBC), UBS exited ownership of Argor-Heraeus , leaving Heraeus and the Argor-Heraeus management controlling the entire shareholding. In April 1999, Commerzbank International purchased a 35% shareholding in the refinery, resulting in Heraeus holding a 35% stake, Commerzbank holding 35%, and Argor-Heraeus management controlling 30%. In 2002, the Austrian Mint (which is fully owned by the Austrian central bank) purchased a 24.3% interest in Argor-Heraeus. This left Heraeus with a 26.5% shareholding, Commerzbank with 26.5% and the Argor-Heraeus management with 22.7%. In 2013, Argor-Heraeus expanded its headquarters in Mendrisio and increased processing capacity at the refining facility. Unlike many of the world’s precious metals refineries which are predominantly or exclusively owned by one main shareholder or corporate entity, Argor-Heraeus is owned by 3 distinct shareholder entities or 4 if one counts the stake owned by the refinery’s management. Due to the historical purchases of long-term shareholdings by Heraeus and Commerzbank in 1999, and by the Austrian Mint in 2002, the present shareholder structure is as follows. 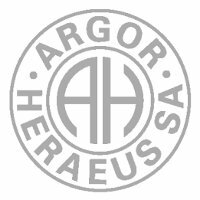 According to the Austrian Mint’s 2015 Annual Report, the Mint owns 30% of Argor-Heraeus share capital. According to the 2015 Commerzbank annual report, Commerzbank owns 32.7% of Argor-Heraeus shares. In its latest annual report, Heraeus does not reveal its holding in Argor-Heraeus, but if the Austrian Mint and Commerzbank own a combined 62.7%, this leaves 40.2% of the shares held by Heraeus and Argor-Heraeus management. Given that the Austrian Mint, Commerzbank and Heraeus traditionally have owned approximately similar percentages of the shares, then Heraeus probably holds an approximate 30% stake also. On the Argor-Heraeus website, Heraeus is listed at the top of the shareholder list, and since the shareholding list is not alphabetical, this may indicate that Heraeus has the largest shareholding, which would be above 32.7%. If this was the case, it would leave Argor-Heraeus management with about 5% of the equity and control. This shareholder base represents 3 German-speaking European countries, and what are probably the 3 main gold markets in Europe, namely Germany, Austria and Switzerland. Heraeus, Commerzbank and the Austrian Mint are not just silent partners in the Argor-Heraeus refinery, they are actively involved in overseeing the refinery, and the refinery benefits from each of the shareholder’s specialties. Since it too runs precious metals refineries as part of a large industrial conglomerate, Heraeus provides R&D and industrial synergies to Argor-Heraeus. Commerzbank provides the refinery with financing and access to its worldwide bullion bank network. Argor-Heraeus can also take advantage of the Austrian Mint’s European and worldwide bullion distribution and marketing network. On the flip side, each of the shareholders benefits from being close to the refinery. Heraeus outsources some its bullion bar production to Argor-Heraeus, namely gold bar production. Commerzbank, as a large global bullion bank and physical precious metals player also has preferential access to Argor-Heraeus production. The Austrian Mint’s relationship with the refinery means that it has a reliable source of precious metals as inputs to its gold coin and bar, and silver coin production. The board of directors of Argor-Heraeus reflects its diverse ownership structure, and current directors of Argor-Heraeus SA include representatives from the Austrian Mint (Muenze Oesterreich), Commerzbank, and Heraeus, including Roland Franz Gerner, chairman of Argor-Heraeus and board member of Heraeus, Gerhard Starsich, CEO and board member of the Austrian Mint, Hans-Jürgen Deutsch of Heraeus Precious Metals, David Burns, Head of Commodities at Commerzbank, Stefan Augustin of the Austrian Mint, Fredun Mazaheri of Commerzbank, as well as Wilfried Hörner and Christoph Wild, the co-CEOs of Argor-Heraeus. The Argor-Heraeus group employs approximately 320 people. The group’s headquarters and precious metals refinery are located in Mendrisio, Switzerland. Argor-Heraeus also has a number of subsidiaries in other countries. Argor-Heraeus Deutschland , located in Pforzheim, Germany is a branch office engaged in precious metal trading, precious metals sourcing from scrap sources, assaying and logistical functions. This office was opened in 2004 and mainly serves the German jewellery, industrial and banking sectors. Pforzheim is situated between Karlsruhe and Stuttgart and is known locally as GoldStadt (Golden City) because to its historical connections to the German jewellery and watch-making industries and as the location of a number of precious metals refineries. In 2006, Argor-Heraeus opened a branch office in Cavenago Brianza, just outside Milan, Italy. This subsidiary is called Argor-Heraeus Italia, and is active in the Italian gold market in precious metal trading, precious metals collection from scrap sources, assaying, some refining, and logistical functions. The customers of this subsidiary are mainly jewellery and industrial participants, and it also supplies the Italian watch industry. In 2004, Argor-Heraeus opened an office in Santiago Chile to service the gold mining companies in that region. This subsidiary, called ‘Argor-Heraeus America Latina’ is involved in sourcing mining ore, assaying metal, and trading in precious metals. Argor-Heraeus also operates a joint venture company called ‘Argor-Aljba’ which is a Swiss-Russian joint venture. Argor-Aljba, established in 2005, is an R&D and production company established that produces high-tech coatings used in precision mechanics, the luxury jewellery and watch sector, and medical technology. The Argor-Heraeus refinery in Mendrisio processes and refines gold, silver, platinum and palladium from mining sources, scrap / recyclable sources and also transforms good delivery bars into smaller bars. The refinery refines gold up to 99.99% and 99.999% purities, silver up to 99.9%, and platinum and palladium 99.95%. Argor-Heraeus’ customer base from over 50 countries, including mining companies, trading houses, bullion banks central and commercial banks, mints, jewellery and watch companies and industrial consumers. The refinery’s products include a range of investment grade precious metals bars for the wholesale and retail markets, precious metals coins, and also finished and semi-finished alloys and high precision products for the electronics, chemical, watch and jewellery industries. Argor-Heraeus’ also runs a precious metals trading desk that executes orders and provides account management and financing services for its customer base. According to its 2014 corporate responsibility report, the Argor-Heraeus refinery has an annual gold refining capacity of 350 – 400 tonnes. Like all Swiss precious metals refineries, licensed assayers (essayeurs jurés), accredited by the Swiss Central Office for Precious Metals Control, work with the Argor-Heraeus refinery to ensure that the precious metals assays of the metals output from the refinery meet the strict quality standards laid down by the Office for Precious Metals Control. Argor-Heraeus is one of only five refinery members of the London Bullion Market Associations (LBMA) good delivery referee panel, which assists the LBMA is maintaining quality standards of refinery members worldwide. Argor-Heraeus is also a full member of the LBMA. Argor-Heraeus wholesale gold bars have been accredited as good delivery since 1961, while its silver bars have been good delivery since 1961.The refinery’s wholesale market platinum and palladium bars are also deemed good delivery by the London Platinum and Palladium Market (LPPM). Argor-Heraeus good delivery bars are also accepted for delivery for Japanese exchange TOCOM’s gold futures contracts and COMEX gold futures contracts. Argor-Heraeus is also a member of “Association Suisse des Fabricants et Commerçants de Métaux Précieux” (ASFCMP), the Swiss Association of Precious Metals Manufacturers and Traders. The Argor-Heraeus bullion bar range comprises cast and minted gold bars, minted silver bars, platinum bars, palladium bars, kinebars, multicard bar products, and also precious metals coins. The refinery produces cast gold bars in 1 kg, 500 gram, 250 gram, 100 gram, 10 tola, and 400 ozs (good delivery) weights, and minted bars in weights of 1 gram, 2 grams, 5 grams, 10 grams, 20 grams, 50 grams, and 100 grams as well as a 1 oz weight. The Argor-Heraeus ‘Multicard’ product is a divisible bar consisting of a series of 1 gram bars arranged in a card within a laminate surround. Multicards comes in 5 * 1 gram and 10 * 1 gram arrangements and are produced in gold, silver, platinum and palladium. Kinebars are minted bars which display an intricate defractive security and design feature on the face of the bar. Argor-Heraeus also fabricates a ‘GoldSeed’ dispenser product which contains 10 * 1 gram gold bars and is similar to the Heraeus MultiDisc. Argor-Heraeus also produces customised precious metals bars on behalf of specific customers in the bullion industry. For example, BullionStar’s own branded 100 gram minted gold bar is produced by Argor-Heraeus on behalf of BullionStar.